I read this article and found it very interesting, thought it might be something for you. The article is called Follow Sir Alan’s example and give solicitors a chance… and is located at https://www.rocketlawyer.co.uk/blog/follow-sir-alans-example-and-give-solicitors-a-chance/. It’s that time of year again. The Apprentice is back. For me, this means blocking out the diary on Wednesday nights and cringing, as another round of fantastically arrogant hopefuls battle it out to secure the trust and attention of Sir Alan Sugar. 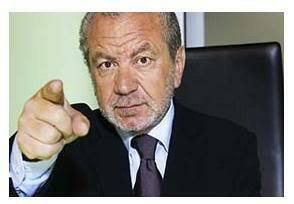 Is it my imagination, or does Lord Sugar seem more belligerent than ever this year? He’s certainly not taking any prisoners. Mind you, some of the candidates (not naming any names) are even more annoying than usual – which all makes for great television, of course! My interest has been peaked this time because one of the young hopefuls – Alex Mills – is in the business of legal services. So I’m pleased to see that he seems to be quite a sensible sort of bloke (if a bit eccentric). In fact, that chair-come-table he designed last week was half way to being useful. So, let’s see if Alex can continue to shine and grab the attention of Sir Alan. The fact that Alex is doing OK led me to thinking about how Sir Alan might view a business providing legal services. Does Sir Alan actually rate solicitors? You might assume he hasn’t got time for them and thinks they are an expensive waste of space. Well – you’re wrong… Remember Margaret Mountford, who used to be one of Sir Alan’s trusted advisers on The Apprentice? Well, Ms Mountford is a business lawyer. She spent several years at City law firm Herbert Smith before becoming a non-executive director at Amstrad – the company which Sir Alan founded when he was 21 years old. Margaret Mountford became one of Sir Alan’s most trusted business advisers and shows that Lord Sugar does rate some solicitors. It also shows that a good businessman doesn’t dismiss lawyers out of hand, but understands how they can become an integral and crucial part of his business. The best business solicitors are sensible and commercial people who can actually help your business and add value, in more ways than by simply providing legal advice. They can understand your business objectives and give you practical advice, designed to help you achieve your goals, not impose limitations. So think of it this way – a good solicitor will free your business to expand, not restrict it by imposing unnecessary rules. Say you’re starting up a business and you decide you need a shareholders agreement to regulate the relationship between the founders of the business. You can use our straightforward technology and answer some simple questions to create your own and you can also read our free guidance to Starting your business. Our shareholders agreement will provide you with all the basics, but why not then have one of our On-call solicitors, who is an expert in advising start-ups, have a look at it? She can give you the comfort that you’ve made the right choices, and might even make you think about a few issues you haven’t considered. This could be the start of a really valuable business relationship. 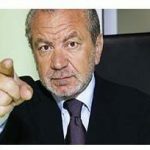 So, take a leaf out of Sir Alan’s book and give lawyers a chance – it might just be one of the most sensible business decisions you’ve ever made.